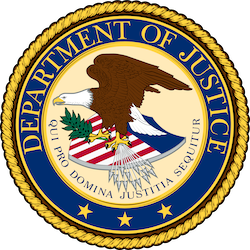 DOJ's Sallet: Competition, Innovation, A "Virtuous Circle"
On December 6th, Deputy Assistant Jon Sallet of the Department of Justice Antitrust Division spoke at the Capitol Forum Broadband Competition Conference in Washington, DC. Sallet spent several years at the FCC and in July 2016 announced that he would begin working for the Department of Justice (DOJ). Sallet’s remarks emphasized the importance of competition for the health of the Internet ecosystem. He pointed out that, in order for residents, businesses, and other entities to get the most out of the possibilities of Internet access, policy, regulation, and enforcement must encourage the mosaic that comes with competition. The DOJ will have decide how it wishes to apply these considerations as it faces upcoming decisions about potential mergers, such as the proposed CenturyLink and Level 3 merger or the AT&T and Time Warner merger. Second, both antitrust law and public policy must rest upon a sound understanding of the incentives and abilities of broadband providers to artificially shape competition not only in the markets for residential Internet access but also in complementary markets across the Internet ecosystem. Here it is valuable to reflect upon the decades-long conclusion that telecommunications networks hold gatekeeper power that can be used to threaten competition. Third, government should protect competition from artificial constraint that injures consumers and, especially in dynamic markets, threatens the future of innovation. The shared, overlapping jurisdiction of the FCC and the division focuses on the review of telecommunications mergers. Such reviews should be carried out always with a clear- eyed vision of the impact of market conditions on consumers today and innovation tomorrow. Finally, the FCC has determined that an Open Internet advances economic and social goals so important that they must be preserved in the face of both obvious and subtle threats; threats that have long-been identified as well as those that are nascent or novell. The process of innovation, competition, applications, and services are interdependent. Internet ecosystem innovation has been driven by the constant interplay between complementary markets. The FCC dubbed this as the “virtuous circle.” As most of you are by now familiar, in this circle investment in broadband infrastructure provides a platform for the development of advanced broadband-based services and applications, which in turn drives consumer demand for bandwidth that incents further investment in broadband infrastructure. As investments and benefits support one another, the virtuous circle drives the Internet ecosystem forward. Sallet points out that concentration of broadband markets have created limited choice, especially in rural areas, which negatively impacts the virtuous circle and disproporationately affect Internet users. Competitive choices are not evenly distributed. Consider the challenges of competitive broadband in rural America… The percentage of census blocks with no providers at 25 [Mbps download]/3 [Mbps upload] leaps from seven percent to 58 percent when moving from urban to rural census blocks. At 100/10 or better, the percentage of census blocks with no providers moves from 33 percent to 80 percent. Only six percent of rural census blocks has even two choices at 25/3; at 100/10 the number is negligible. The impacts of limited broadband competition extend to other, complementary markets. It’s not just about where consumers have, or can choose between, competing broadband services. In fact, we now know enough about the Internet to recognize it is not merely a telecommunications platform but a commerce platform—not merely a means of electronic communication, but of electronic capitalism. The Internet has become both the railroad and the telegraph of the 21st Century. Of critical importance is that we recognize that certain gatekeepers have special control and we stay vigilant to ensure they don’t abuse their power. In his remarks, Sallet pointedly refers to entities beyond Internet Service Providers (ISPs). He recounts several court decisions in which AT&T attempted to prevent competitors from using its infrastructure and its long distance service: the Kingsbury Commitment in 1913 and the Carterfone decision in 1968. In both decisions, the telecom giant attempted to use its significant position to snuff out any possibility of future competition. As Sallet points out, if the corporate behemoth had been allowed to slam the gate on these other entities, there would have been no reason to invest in innovation. The dual business lines of broadband provider/video incumbents shifts their incentives towards seeking to maintain the returns long enjoyed in video distribution. Online video – a major feature in the Internet ecosystem – threatens those returns. That threat warps the incentives of broadband providers away from encouraging the virtuous circle. In keeping with the idea that gatekeepers wield significant power, Sallet provided some thoughts on Open Internet rules. He returned to the virtuous circle and how the rules established by the FCC in 2015 help preserve it. As much as any of the governmental action we’ve discussed today, debate in the development of Open Internet rules has helped foster wise public policy. And I believe that the debate has revealed that certain bright line rules can provide clarity, reduce administrative costs, and maximize welfare with little relative risk, while on the other, it has revealed other areas deserve more cautious case-by-case scrutiny. It’s a similar approach to antitrust doctrine, which identifies some conduct as sufficiently problematic to be labeled per se unlawful, while other conduct is left to a rule of reason inquiry assessing costs and benefits. While disregarding some rules - throttling, blocking, paid prioritization - clearly break the virtuous circle, others need deeper analysis. Especially when the issue does not necessarily involve financial matters. Antitrust – and popular support for antitrust – are built on the principles that competitive markets are critical to the ability of individuals and businesses to succeed in our economy. That is to say, competition is an important means of achieving economic opportunity for all Americans. Read the full text of Jon Sallet's speech at the DOJ website. Virtuous circle graphic courtesy of William Carleton, Counselor at Law.